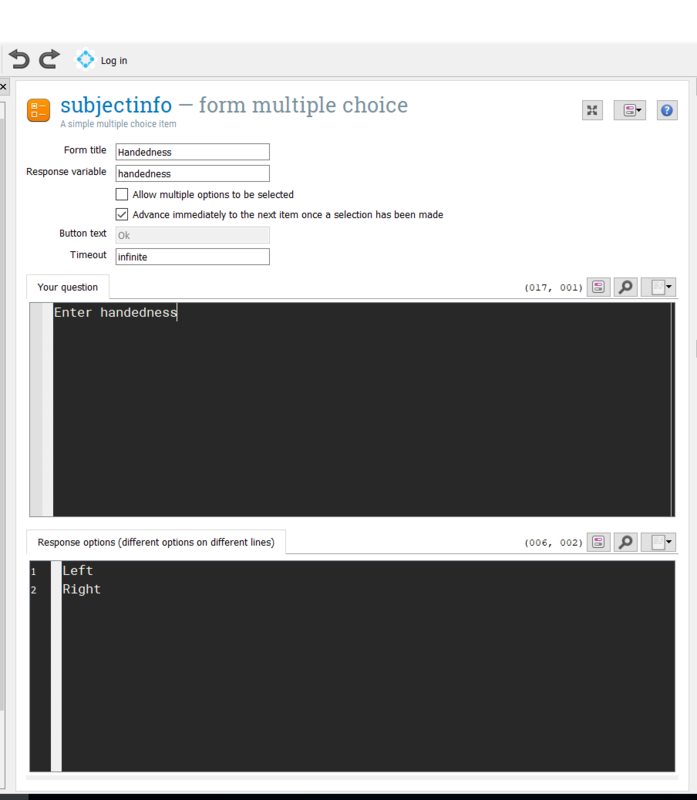 As the title indicates, the response options in my multiple choice form are not displayed when I run my experiment. I am using the latest version of Open Sesame. Please see pictures below of the settings in the GUI and how the form is displayed when I run the experiment. Any ideas how I can solve this? That's very odd. Could you upload the experiment here so that I can see if I can reproduce it?